1. This past Tuesday we worked on a teenagers boho inspired bedroom in Corvallis. Here's a fun before and after of the space! We really enjoyed working on a new project, and it was our first time designing a teenagers bedroom! 2. Jim and Aymee are headed to Puerto Vallarta in October! They planned their trip this week, and booked the VRBO we decorated. If you're interested in renting it, click here! My favorite feature after renovating was the cement wall in the master bedroom... amazing, right?! 3. Fall is just around the corner, and let's be honest, I'm ready for the cooler weather (I know, such an Oregonian at heart). Here are five things on my fall wardrobe wish list (black mules, velvet top, skinny jean, ankle bootie, leather jacket). 4. I went to Sun River this weekend, and was really inspired by mountain homes. 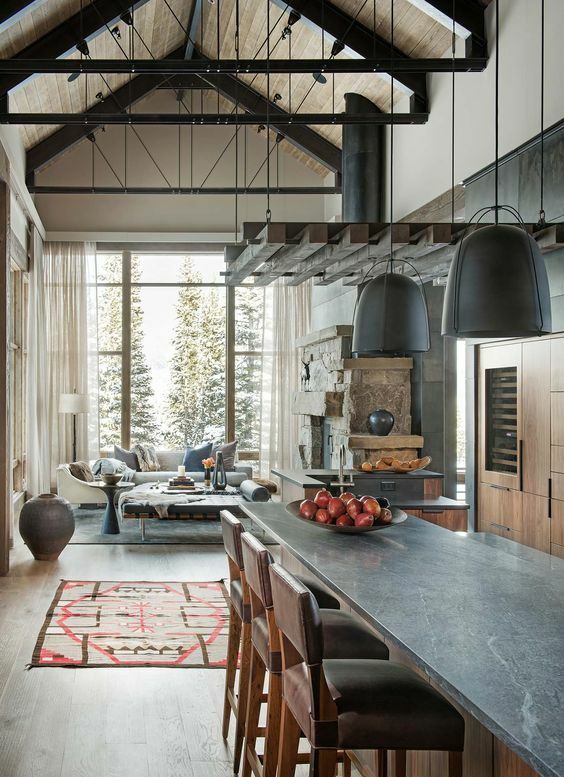 I'm serious when I say I'm dying to do a home in Central Oregon/vacation home in Sun River or Black Butte! 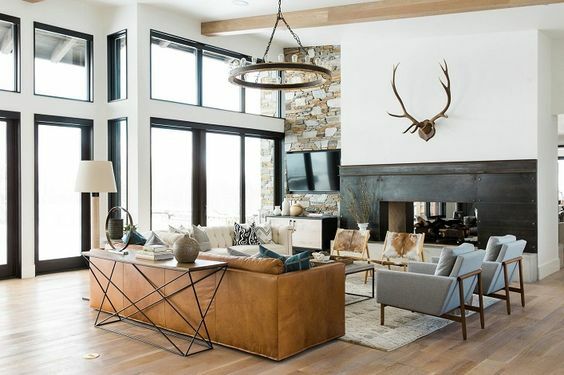 Here a few mountain home interiors I'm inspired by. 5. It's the eclipse on Monday! I'm hibernating... What about you?? Be safe everyone!